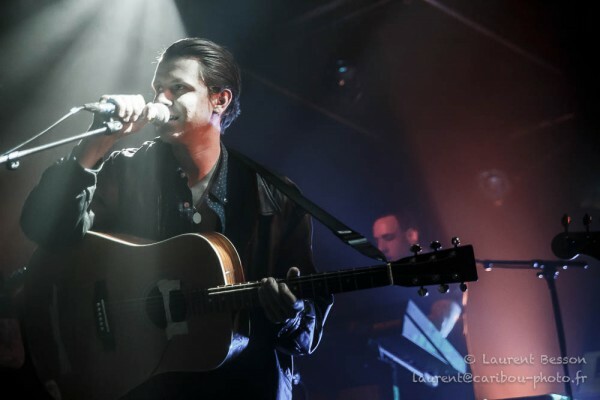 Jamie Treays better known as Jamie T is a popular indie-alternative artist in the UK. He has suffered from anxiety and panic attacks throughout his life. Treays' finds that music is his main outlet in dealing with these issues, making him an inspiring role model for many of his fans. It is important that artists face not only positive appraisal but criticism to help shape them as an artist. I feel it is important for artists nowadays to be honest in their lyrics and performance style, as this encourages consumers to trust them. It is evident that some parts of society may not be as welcoming of Jamie Treays’ mental health conditions – which is reflective of society as a whole, the general British public find it difficult to talk about these difficult topics, with organisations like Time To Change and Mind, who encourage people to speak openly about mental health. It is artists like Jamie T who are advocates for these organisations and help and encourage people to speak about difficult issues. In an interview in 2016 Treays revealed he has received a lot of letters from people suffering from anxiety who found solace in a shared experience, “It’s hard when you’re afflicted with a disorder of some type, and it can be kind of debilitating. The first time I heard Jamie T, I was in the canteen at Sixth Form College, ‘Zombie’ was playing through the speakers; the unusual lyrics and fast tempo intrigued me from the outset, "‘Cos I'm a sad sad post-teen, could have been a love machine, no dream, come clean walking like a zombie.." Treays was speaking the lyrics rather than singing them – as if telling a story. Originally from Wimbledon, London, Treays was privately educated however, suffered severely with anxiety and panic attacks throughout the entirety of his early life – ultimately leading to his first album ‘Panic Prevention’ (2007). What struck me about the indie, alternative, post-punk eclectic sound was Treays’ unusual yet relatable lyrics – these were intriguing, and made me want to listen to more; I started with his first album ‘Panic Prevention’, with iconic tracks like ‘Sheila’, ‘If You Got The Money’ and ‘Ike and Tina’. "People get weirded out by it. But it seemed natural to me to talk about it. " It is unknown what Treays' new album will sound like – he is no stranger to the personal touch, so that is a given, but the sound has changed with each album and since his last album in 2016, Treays may have adopted a new sound or experienced something that may shape his writing – the wait will definitely be worth it.